The 87 residential sales in December 2015 represent an increase in volume of 4.8% when compared to the figure for December 2014. The average sale price in December climbed to $532,400. When compared to the same figure one year ago, this represents a strong 11.8% increase. 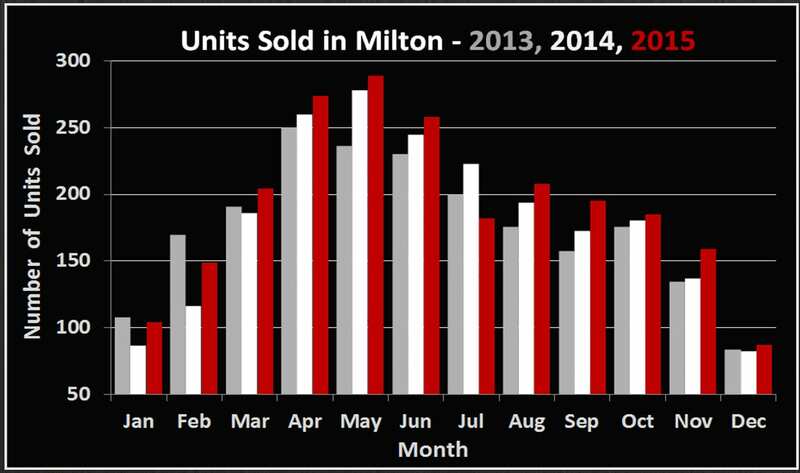 As is typical in real estate here in Ontario, December was our least active month. Market activity is expected to pick up by early February barring any drastic winter weather. As of this writing, inventory levels are low, so it may a be good time to list if you’ve been considering selling. 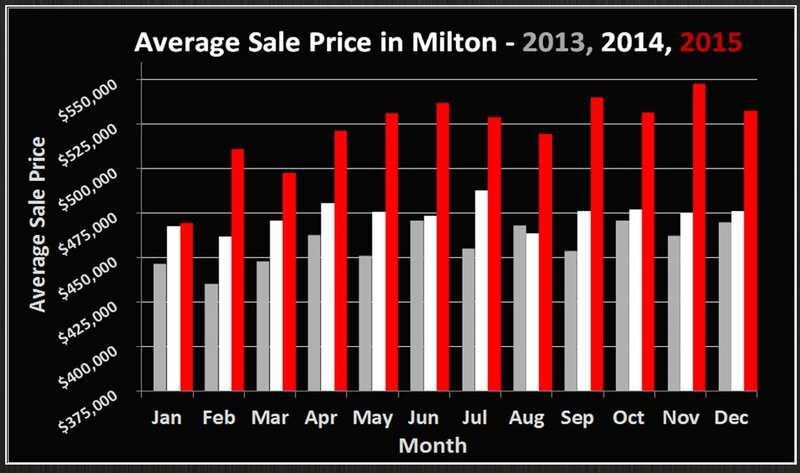 When looking at 2015 as a whole, the average price of a home sold in Milton was $524,300 (up 10.4% from 2014). Overall transactions increased in volume to 2294 units, up 130 units from the 2014 figure (6%). Overall 2015 has been one of the strongest years in real estate in recent memory. It will be certainly be interesting to see what our spring market brings and if these generous returns will continue. One of the biggest things to watch in the coming year will be the continued development of the Boyne survey. Over the next 5 years, 50000 residents are expected to call the area bound by Louis St. Laurent to the north, James Snow to the east, Britannia to the south and Tremaine to the west. Many of you will be purchasing new homes from the builders in this development, so don’t hesitate to ask us any questions related to location, preferable lots, floorplans etc. The first (new) residents to the area are starting to move in, so here’s to hoping the town handles this new influx of population and traffic correctly.